I’m breaking from the traditional format of Sundays with Friends for the simple purpose of telling you about the final restaurant we visited in Asheville, NC. Once again, just like Stoney Knob Café, this one is in Weaverville, NC. I feel this goes with the Sundays with Friends title, because as soon as you walk into Vinnie’s Neighborhood Italian, you are immediately met with friendly smiles all the way around. It was as if we had been coming to this establishment for years upon years. 1. Service is one of the biggest aspects of a restaurant experience for myself, being a former waitress. 2. The food has to bring an immediate smile to my face in order for me to fall in love with a restaurant (yes, almost that ‘eyes rolling in the back of my head foodgasm smile’). 3. I want to be TRANSPORTED! See, the thing about me lately, is that I have such a thirst for travel right now, that when I go to an Italian, German, French, etc. restaurant, I want to feel as if I am in their country. In this case, I wanted that feeling as if I was devouring some of the best food Italy had to offer. I’ll admit it, I didn’t have high hopes. That afternoon, we had a less than stellar experience at one restaurant, and were just kind of “blah” on the whole trying new places. But, the adventurer inside prevailed, and to TripAdvisor I went again. 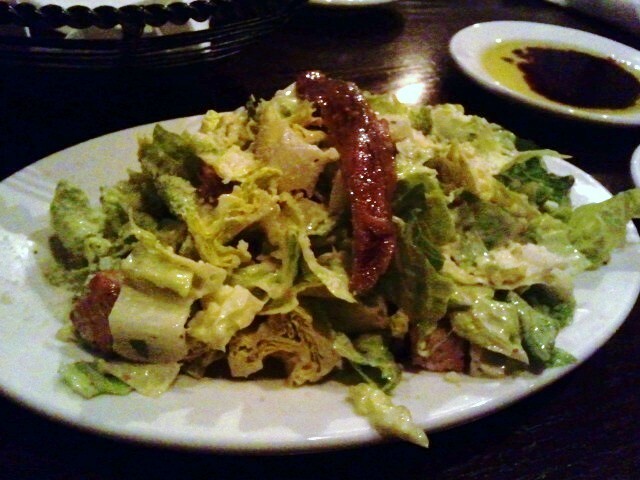 I viewed a few different places until I decided on Vinnie’s Neighborhood Italian. Their menu spoke to me in some elegant Italian language, that unfortunately I was unable to utter a word of. You know what I did understand from that menu??? 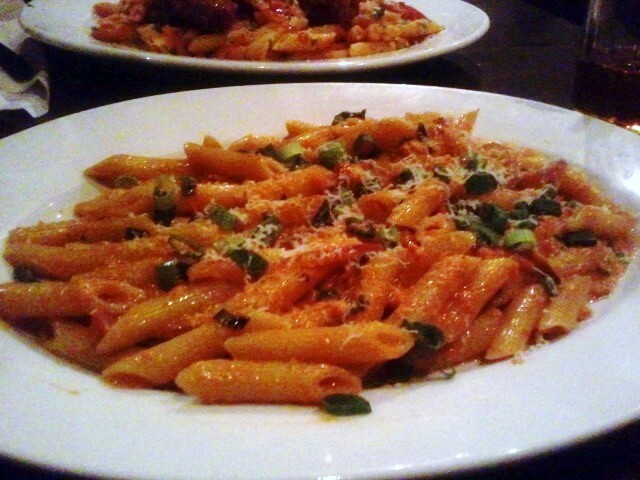 Take a guess… *smiles* It was the Penne alla Vodka that spoke to me the loudest. I am a complete sucker for a smooth Vodka Sauce. I love the marriage of the different flavors that a Vodka Sauce offers, as well as it’s versatility. I, personally, have found it quite difficult to order a delicious Vodka Sauce at any of the Italian restaurants around here, including the chains. Did I mention the Penne alla Vodka had Pancetta in it??? So maybe that helped my decision as well. The website was a little playful, but we later found out that it was different when you walked through their doors. We drove down the peaceful Merrimon Avenue and parked at Vinnie’s. Like I said before, we were immediately greeted by a friendly staff, and maybe even Vinnie himself. Whether it was Vinnie himself that greeted us (he appeared to be the owner/Chef) or not, you could still feel the Italian love that was in this place. You knew the food and service was going to come from the heart and there was an abundance of passion in the staff. The bread…OH THAT BREAD! 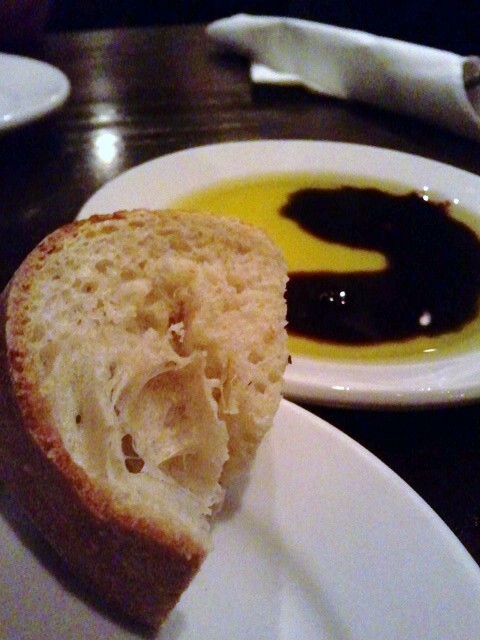 Honestly, I had never had balsamic vinegar and olive oil both for bread dipping. It was so inspiring that I went to Midtown Olive Press in town and bought my own bread dipping combination the next week! The bread that was being brought out to our table had to of been baked in the back. It was fresh, soft, and crusty, exactly what you would expect out of good bread. Goodness though, we had to take it easy on the bread or we were NOT going to have room for our meal. 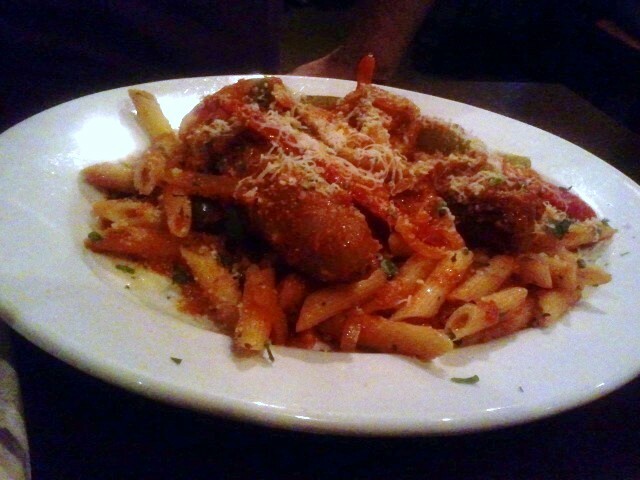 Out came the Penne alla Vodka that I had already planned on ordering, and the Sausage, Peppers, and Onions dish the hub ordered. When I tell you we should have taken it easier on the bread, I mean it! The portions were hearty, and the smells of our dishes wafting about the table to our noses made your mouth water all over again. Even after we already had been drooling from the visual appeal of the dishes. True sensory overload, folks (in a magical way). Now I’ve dated a couple of Italians in my past, but sadly, they couldn’t cook worth a lick. 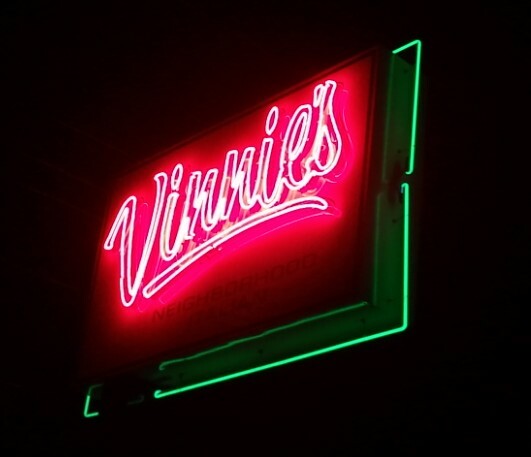 This Southern gal wanted real Italian food that she had been missing out on all those years, and she got it that night at Vinnie’s! From the first bite to the last bite we took that evening of Tiramisu and Italian Cheesecake, before packing up our take home boxes, you felt as if this is what true Italians eat. This would be my expected experience in Italy. These beautiful, robust, flavor-rich dishes that were presented to us undoubtedly had transported us to Italy. This is the one thing I love about traveling. You may only have money to go a few hours from home, but if you walk into the right place, you never know how far you’re going to travel in the end. 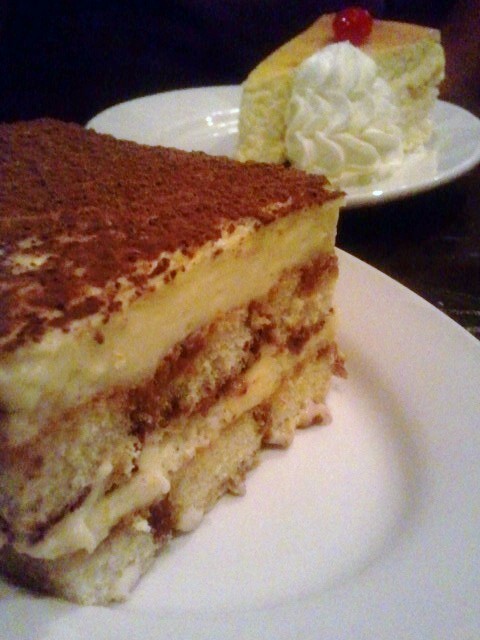 Thank you to Vinnie’s Neighborhood Italian for one of the most amazing Italian meals I have ever savored. Your passion was felt in every smile and bite. I am definitely going to put this on my “to do” list next time we go to the mountains! Sounds heavenly.